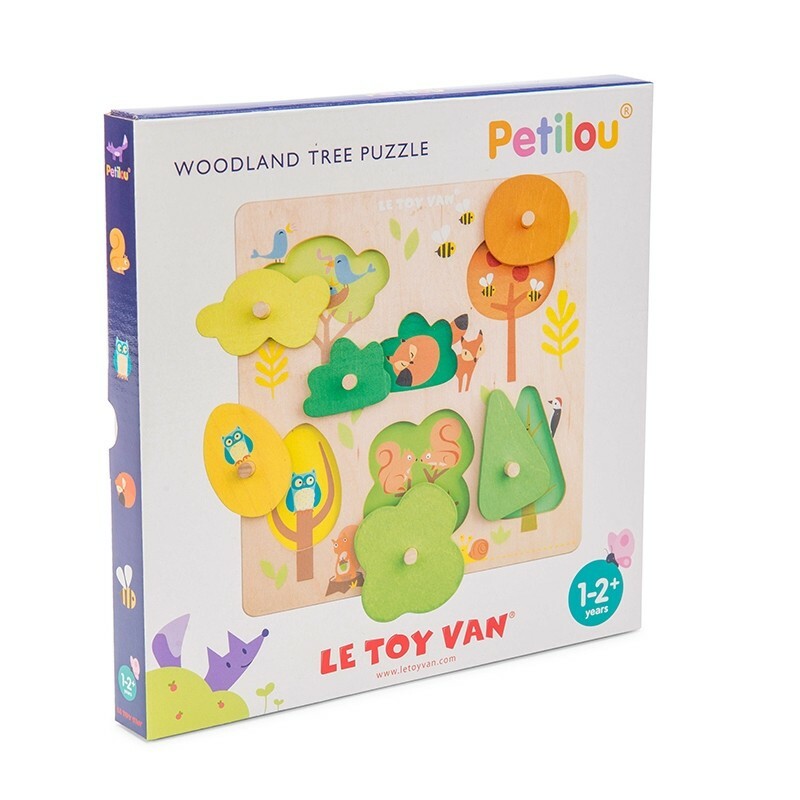 The woodland theme tree puzzle features 6 water based painted pieces with wooden pegs. Each piece can be removed to reveal different woodland creatures fostering toddlers' curiosity. 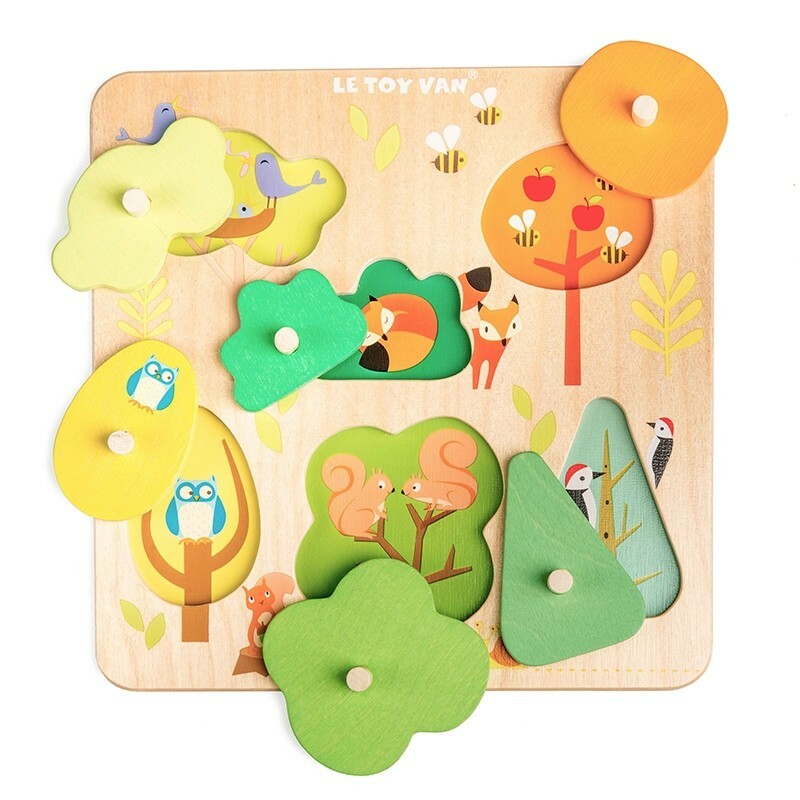 Colour coordinated, this puzzle is ideal for developing concentration and encouraging speech building skills.